Arthur Coningham was born in Brisbane, Australia, in 1895. Educated at Wellington College, New Zealand, Coningham joined the New Zealand Army on the outbreak of the First World War. Coningham saw service in the Pacific and the Middle East before joining the Royal Flying Corps in 1916. Assigned to 32 Squadron Coningham scored his first victory on 23rd January 1917. This was followed by nine more successes during that year. Promoted to the rank of major he was given command of 92 Squadron in June, 1918, and was credited with four more victories. After the war Coningham remained in the Royal Air Force and in 1926 he led a record-breaking 5,268 mile flight from Helwan in Egypt to Kaduna in Nigeria. On the outbreak of the Second World War Coningham was commander of the long-range bombers based in Yorkshire. In July 1941 he went to Egypt as air vice marshal commanding the Western Desert Air Force. 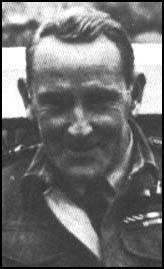 While involved in the Desert War Coningham pioneered the development of tactical air support for Allied ground troops. Coningham was knighted after the El Alamein and continued to provide tactical air support for the 8th Army until they occupied Tripoli in January 1943. Later that year he was promoted to Air Marshal and directed tactical air force operations in the invasion of Sicily and Italy. In January 1944 Coningham was recalled to England where he helped plan the air support for the D-Day landings in France. The following year he was given command of Flying Training Command. Coningham retired from the Royal Air Force in 1947. Arthur Coningham was killed on 29th January, 1948, when as a passenger aboard a British South American Airways flight it disappeared between the Azores and Bermuda. For conspicuous gallantry and devotion to duty. With three other pilots he attacked an enemy machine which was protected by ten others, shot it down, and destroyed another one the same evening. Shortly afterwards he and two others attacked five of the enemy, and although wounded and rendered unconscious for the moment he succeeded in driving down two of the enemy. In spite of being exhausted by loss of blood he continued his patrol until he was sure there were no more enemy machines in the vicinity, setting a splendid example of pluck and determination. 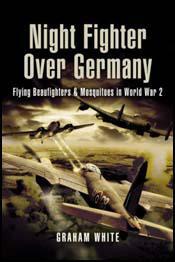 (2) Arthur Coningham had doubts about the use of strategic bombing during the Allied invasion of Europe in 1944. The bombing of friendly towns during the campaign, and the insistence by the Army Commanders that it was a military necessity caused me more personal worry and sorrow than I can say. My resistance, apart from humanitarian grounds, was due to a conviction, since confirmed that in most cases we were harming Allies and ourselves eventually more than the enemy. I thought, also, of the good name of our forces, and particularly of the Air Force. It is a sad fact that the Air Forces will get practically all blame for destruction which, in almost every case, was due to Army demands. On many occasions, owing to the organization of command, I was over-ruled and then came the "blotting" by strategic bombers who, on their experience with German targets, tended to over hit. Ample factual evidence will now be forthcoming, and I hope that, in future, it will not be thought that the sight and sound of bombers, and their uplift effect on morale, is proportional to the damage they do to the enemy.